This article first appeared in the St. Louis Beacon: The man stops talking and grabs the phone. It was the call he had been waiting for. “He’s under arrest. What? For real? That’s great news man, really, thanks.” With a huge sigh of relief, Randy Grim, founder and director of Stray Rescue and head of St. Louis’ Animal Cruelty Task Force, relaxed back into his seat, a restful smile stretched across his face. Updated with information about new case. A 31-year-old St. Louis man will spend up to four years behind bars for torturing, mutilating and killing five dogs and leaving their bodies in a vacant building on the city's north side. Darick Dashon Stallworth pleaded guilty in August to three counts of animal abuse and and two of animal neglect. 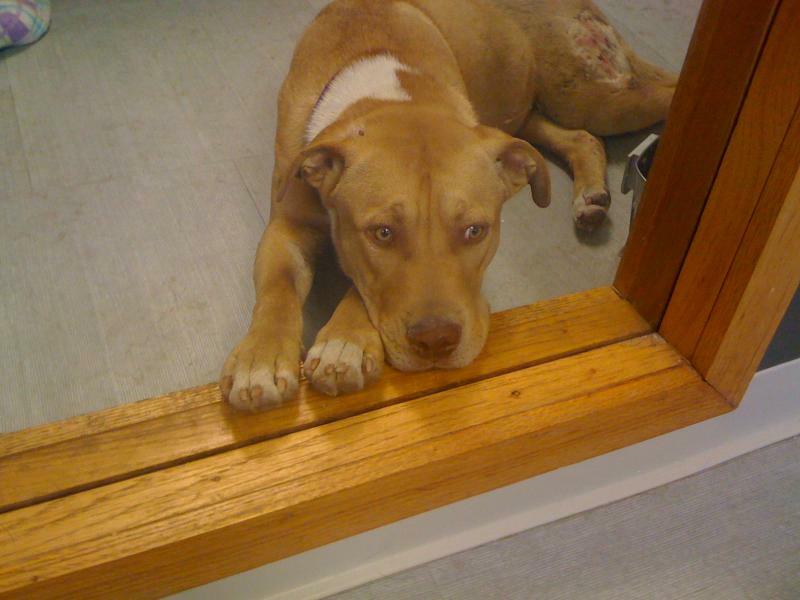 He'll serve four years for the animal abuse charges, and 15 days for the neglect charges, all concurrently. St. Louis Mayor Francis Slay is creating a task force aimed at reducing animal cruelty in the city. Slay announced the creations of the “Mayor Francis Slay Animal Cruelty Task Force” during a press conference at Stray Rescue on Tuesday. Among other things, the city police department will dedicate one full-time officer to animal abuse cases. Slay says the task force sends a message that cases of animal neglect and cruelty will be prosecuted just as thoroughly as any other crime. "Darick Stallworth has been charged with three counts of animal abuse and two counts of 1st degree animal neglect." Here's a link to the probable cause statement related to the case. 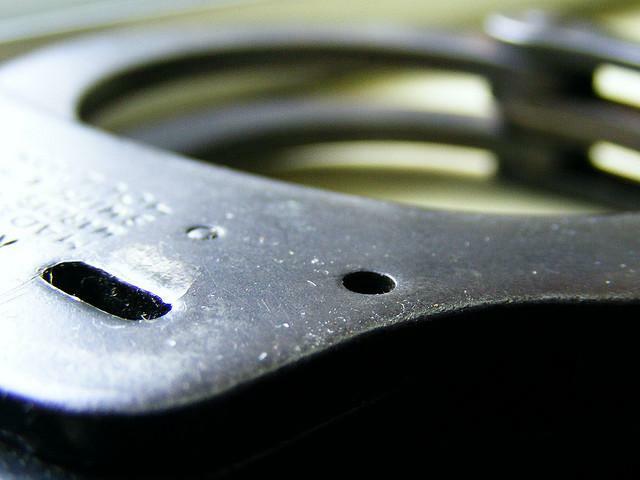 St. Louis police have arrested a suspect in an animal abuse case in north St. Louis. 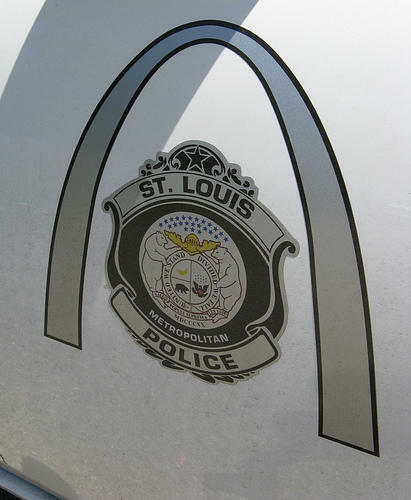 The legislation, sponsored by Joe Keaveny, would return the St. Louis Police Department back to local control for the first time since the 1850s. Thursday was the first day lawmakers could file bills for next year's session, which starts January 4th. Local control bills failed during both this year's regular and special sessions as they became bargaining chips in the tax credit battle between the House and Senate. A year-long battle over the best way to use about $258,000 in donated tax dollars that were originally intended for a new city-operated shelter is over. The nearly 10-year-old effort to build a new city animal shelter came a big step closer to completion today, when the Board of Estimate and Apportionment approved the use of $170,000 in capital improvement funds to retrofit an old vehicle emissions station on St. Louis's north side to safely and humanely house animals. 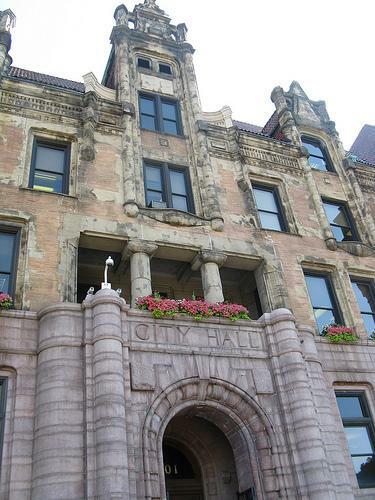 A new city animal shelter on the north side, a full-time veterinarian and vet techs to staff it, and more animal control officers are all on the wish list for the city of St. Louis in the second phase of its new animal control strategy. Accusations of political gamesmanship are flying today after the introduction of a new St. Louis Board of Aldermen resolution giving about $255,000 to the non-profit animal rescue organization Stray Rescue. What Ald. Stephen Conway called a comprehensive animal control strategy for St. Louis is somewhat in limbo tonight after an aldermanic committee passed one bill, rejected a second, and waited to take action on a third. 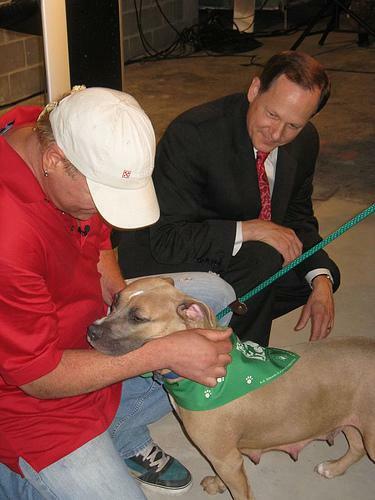 Last year, 90 dogs left the St. Louis city pound for what Mayor Francis Slay hoped would be a better life. 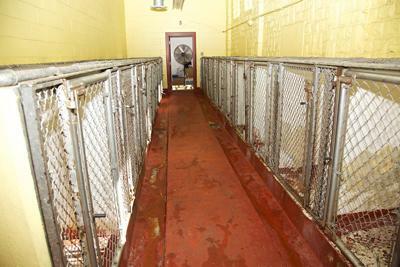 The move marked the end of an attempt by the city to replace its aging pound with a state-of-the-art shelter funded by donations. 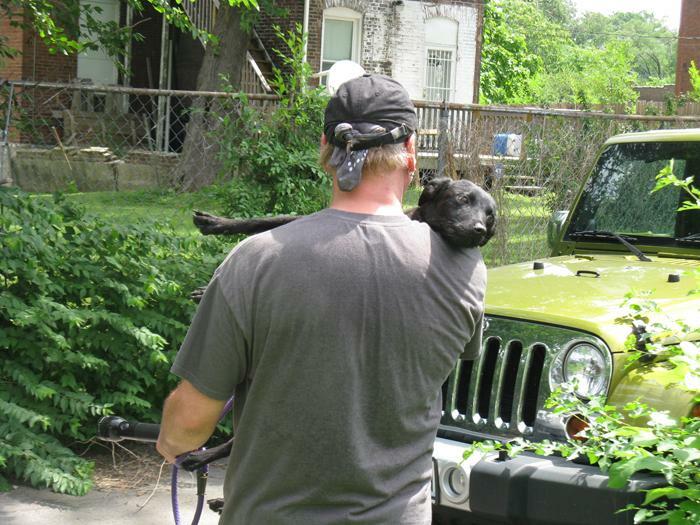 From that day on, Stray Rescue - a non-profit with 24 employees and an army of volunteers - cared for all but a handful of dogs and answered the city's animal control calls: all without taking a dime of city money. If you believe the city’s health department, there are fewer strays on the street, and more dogs are being adopted. But there are questions about how long the success will last. 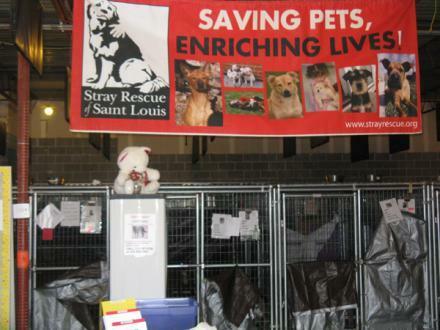 In December, the St. Louis Post-Dispatch wrote that money collected via tax bills for a planned new animal shelter in the city of St. Louis was sitting in a special fund with no place to be used. The City of St. Louis and Stray Rescue are taking additional measures to encourage responsible pet ownership in the City of St. Louis. This week, the City's Animal Control Officers will begin issuing tickets for fines from $100 to $500 for those who violate city animal laws and ordinances. 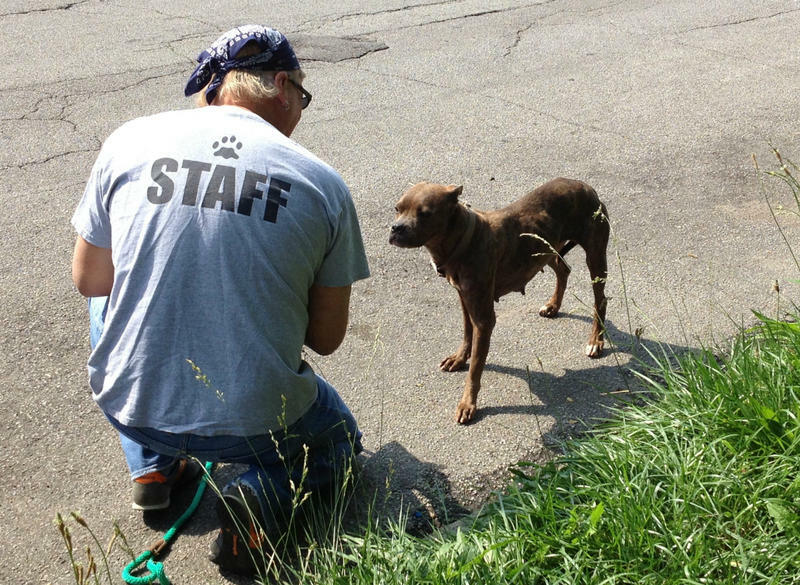 The City will also enforce animal abuse violations, including illegal chaining and dogfighting. 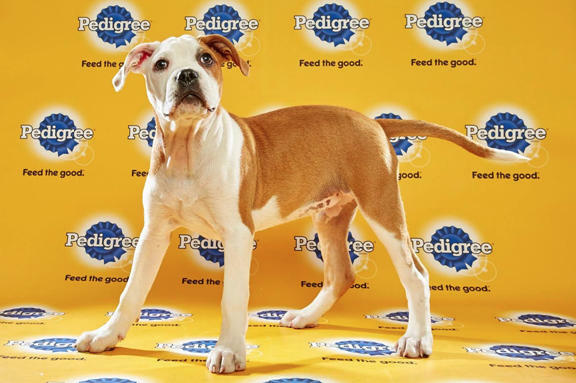 Like Quentin the miracle dog, the city's Animal House Fund may have a second life. The city's health commissioner, Melba Moore, recommended to the Board of Aldermen's Health and Human Services committee on Wednesday that the check-off box that's generated about $247,000 for the fund be removed from the property tax and water bills. This article first appeared in the St. Louis Beacon: July 15, 2008 - Randy Grim has long considered himself an underdog. But he and Quentin -- a basenji and pit-bull mix that Grim rescued from a gas chamber -- along with Grim's other rescued pets seem to have pawed their way to the top. In May, Grim and his animal shelter Stray Rescue beat about 1,000 entries to become the first winners of zootoo.com 's National Shelter Makeover contest, winning $1 million.